We have taken a closer look at our cleaning products lately. We set out to learn all that we could on “green cleaning” using natural, non-toxic products. After all, we prep our food on our kitchen surfaces, eat off of our dishes and sit on our carpets and floors – all typically cleaned with chemicals we wouldn’t dream of putting in our bodies! Below, you will find what you will need to replace the vast majority of your daily cleaning products (including bleach – gasp!) straight from your pantry, grocery or garden. This was originally published on February 27, 2013, and updated April 4, 2018. It’s hard to go from using your old cleaning products to new, natural ones! I found myself wanting to revert back to what I know works – bleach, formulated granite cleaners/polish, chemical-laden window, and toilet cleaners, but alas! Here are my favorite “recipes” for disinfecting your home! In case you want to copy and paste these recipes into a word document, here they are in text format! Place ingredients directly into the toilet. Mix gently with bowl brush. Let sit at least 30 minutes before scrubbing. Mix in a small, open container. Using a toothbrush, apply the paste to grout and allow to sit for 5 minutes. Rinse off. 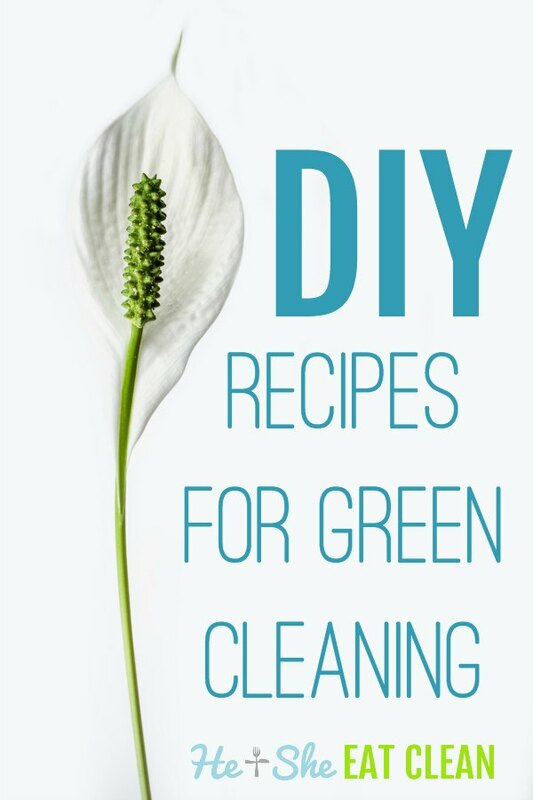 Do you have a favorite green cleaning recipe to share?